Yes, we know that current spotloads leave radio painfully over-commercialized at times. Not that many years ago, it was a choice of one station versus one of the others. Today, the free levels of Spotify, Pandora and other online players run comparatively few commercials. While digital channels sometimes struggle, repeating the same few units to the point of annoyance for listeners, broadcasters face comparisons that didn’t exist before the proliferation of hyper-targeted digital media. As advertising becomes more personalized and context sensitive, the most recent NuVoodoo Ratings Prospects Study showed that 3/5 of most music format P1’s agree most commercials on the radio don’t apply to [them]. Digital ads now chase us around the Internet, based on our browsing and reactions to Social Media. 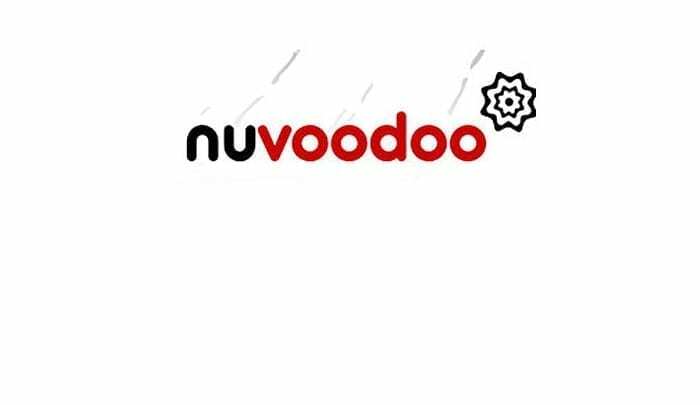 (That’s something that NuVoodoo does routinely for its marketing clients. As consumers become more comfortable listening to streaming audio on their smartphones, a digital ad – a virtual billboard – can turn directly into a listening occasion.) It’s natural that we’re coming to expect ads that are tailored specifically to each one of us. So, when a broadcast radio commercial goes on about something far outside our realm of interest, it seems more annoying than that same commercial might have seemed years ago. With sales under more pressure than ever, we’ve largely given up trying to influence the creative choices of clients. 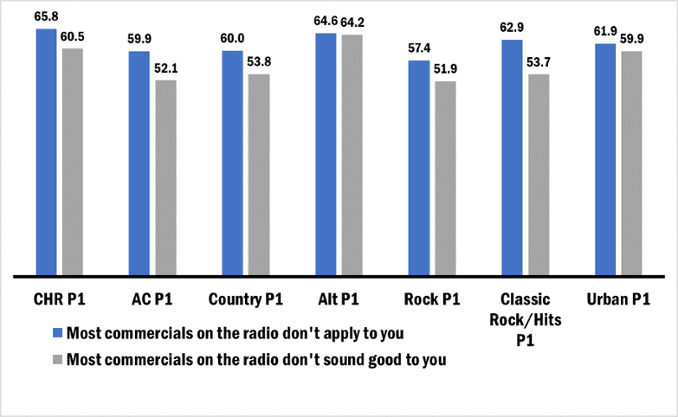 It’s not surprising then that majorities of all music P1 constituencies agree most commercials on the radio don’t sound good to [them] (even among the radio-friendly P1’s for Classic Rock/Classic Hits, AC, Country and Urban). Many young PD’s can’t even remember a time when PD’s could reject spots or have commercial creative changed to suit a station’s targeting. For years now, we’ve tested every song we play – generating great playlists and schedules for wide audiences. Many morning shows have been improved with supportive coaching, supplemented with rheostat testing of show segments. Courageous broadcasters subject their imaging pieces and hosts’ presentations to audience reaction. Commercials don’t get as much scrutiny. Which is a shame. While there are costs involved, it’s possible to test commercial creative for consumer reaction and, at least, memorability. Stations work tirelessly making playlist decisions and scheduling music. Personalities spend time prepping shows. PD’s and production people invest hours on station imaging. Too often, radio commercials are an afterthought for an agency placing a multimedia buy or are written by an overworked account executive. We fret over exploiting theater of the mind for every phase of what’s on the air … except for the commercials. We can’t make radio commercials as hyper-targeted as those delivered online, but we should be able to work to make them sound better; to make them more interesting and entertaining. Station creative teams need to have more influence in making better commercials – and driving better results. We need, as always, to work to make better radio.